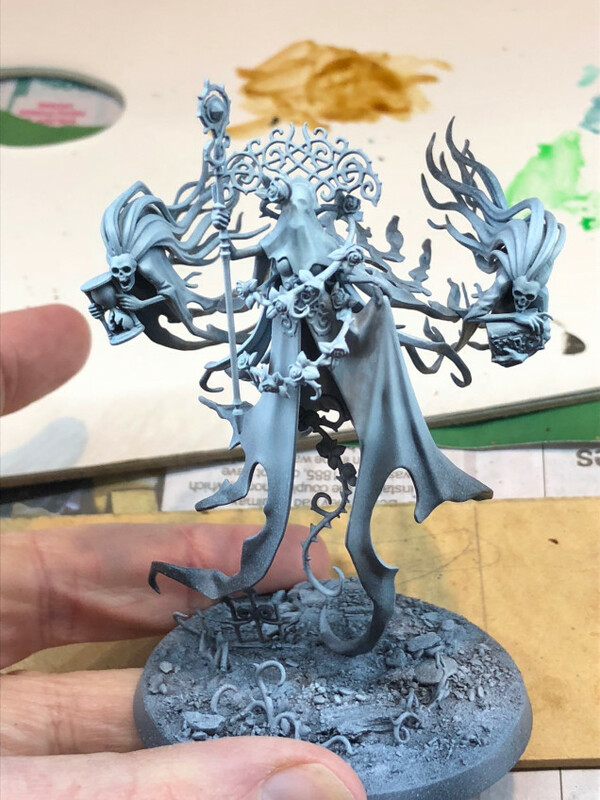 First off, I have this beauty built and added to the paint queue… I asked my friends which of the character models they thought I should get and they all suggested this one. 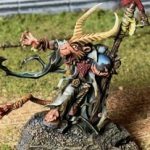 I’m a big fan of the fluff for the Craven King, but my friends refused to play against him in regular games as his rule actively makes your opponent unhappy – “You know that fun special thing you can do with your army? Yeah well now you can’t do it”. 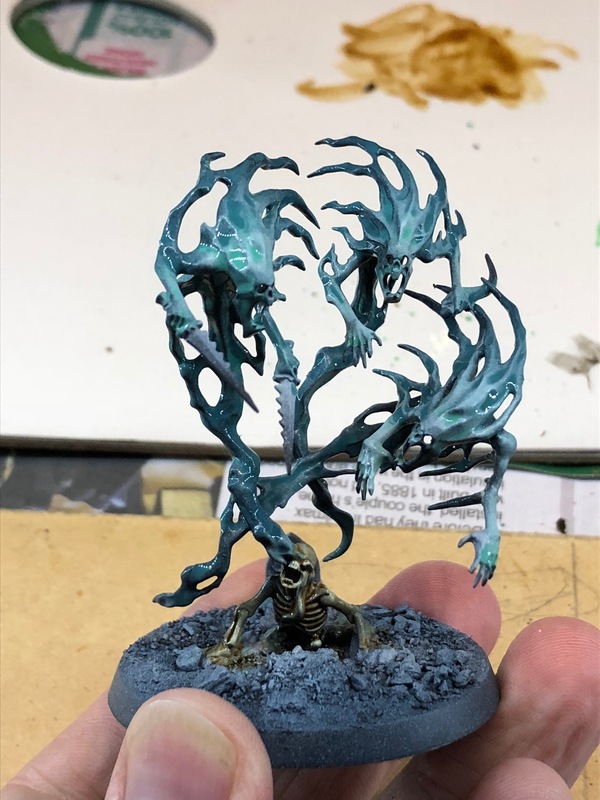 Even at this stage, you could almost paint the base and be happy - such a nice model. But I mentioned a question in the title of the post, and the question is something like: “What do the really ghosty bits look like?” I’ll still want to keep the “fade to black” feel on things like banshees, spirit hosts and so on, but I don’t think the “grungy, just pulled out of the ground” feel will work. So the plan is to stick with the blue -> black at the edges, but go for a much lighter, cleaner glow feel to the faces and arms. I didn't like this guy initially, but he's growing on me. A bit shiny, as the wash is still wet, but you get the idea. 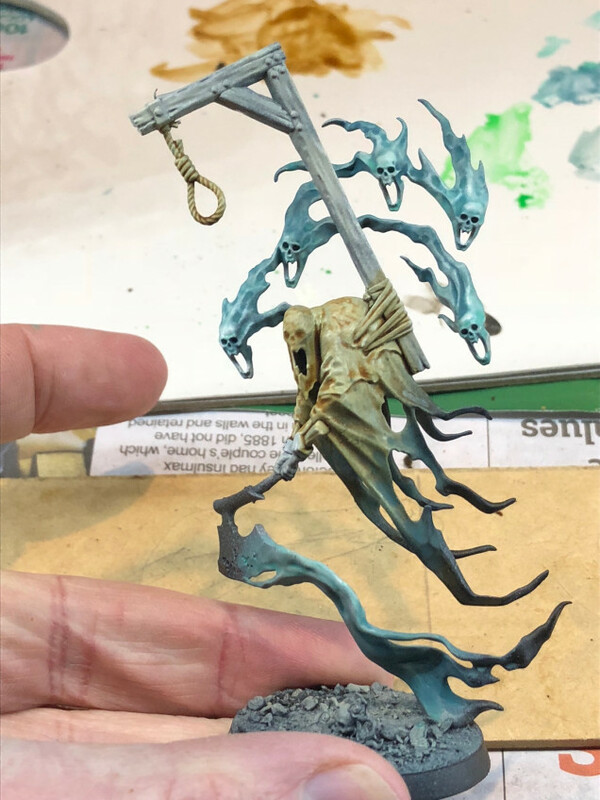 So what we have here is Nihilakh Oxide washed over the main details, followed by Nighthaunt Gloom on the “edge” bits. These are applied quickly, then quickly rinse out the brush and blend the two together where they meet. It’s a really simple way to get nice blends. The next step will be to put a black wash on the very edges and then a dry brush of a light colour, possibly even white, to pick out the highlights again.